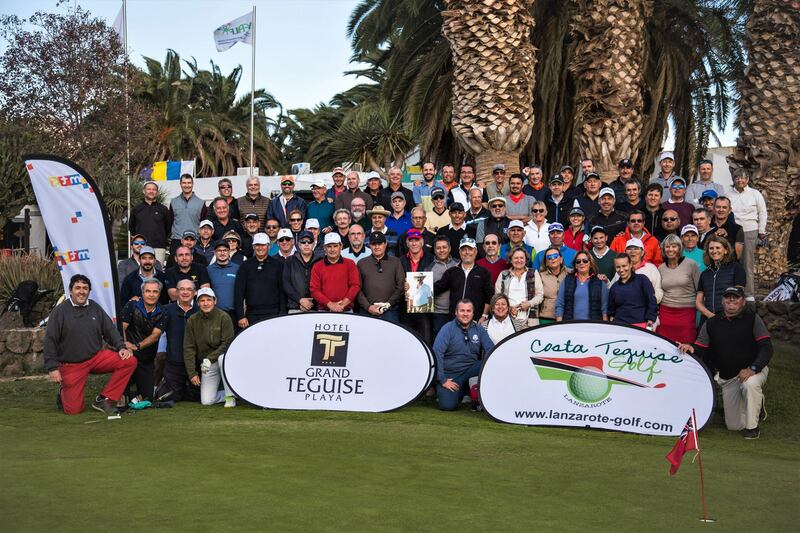 On Saturday, December 15th 2018, the Grand Teguise Playa Charity Tournament took place at Costa Teguise Golf. It was the eighth edition of this great tournament that year after year receives more players who come from all the islands and also the mainland. We would like to thank his organizer all the work and effort puts into every detail. In this edition, Francisco Ces Canedo was honored, who was a member of Costa Teguise Golf until his last days and a very dear person for all players of Lanzarote. All the monay collected from the tournament went to AFALF, Association of Relatives of People with Alzheimer’s Disease and other Dementias of Lanzarote and Fuerteventura. The attendance was of 86 players and the modality chosen was Stableford Individual. The Prize Giving, the Gala Dinner and the Grand Charity Raffle were held at GRAND TEGUISE PLAYA HOTEL, sponsor of this great golf event.